We can not always be good for everyone. This is probably normal. But there are people with whom you need to be very careful. Such people should not be upset – when they are disappointed they move away from any relationship with those who made them upset. They simply can not understand and forgive. 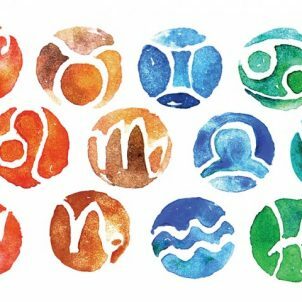 People of this sign of the Zodiac are sensitive, sympathetic and compassionate. They will always help the people who need their help. Cancers are empaths: they feel someone else’s pain, like their own. When they are upset, Cancers feel deceived in their best feelings. A deception is something that can not bear this sign of the zodiac. Geminis always see a good in every person. They believe in people and in their good beginning. People of this sign believe in words. Generally, Geminis are able to understand any act. If this does not apply to personal relationships. Any close person ceases to be close if he has allowed himself undeservedly to grieve the Gemini. Pisces are very easily upset, disappointed, isolated. They are tactful, intelligent and romantic. This should be respected. However, remember the fact that upset Pisces is forever lost Pisces. Will not come back. This sign is sure that those who value them, will not upset them.